Bright golden amber color. Tropical aromas and flavors of fruit punch, passion fruit sorbet, and strawberry bubble gum with a finely carbonated, off-dry medium body and a refreshing, medium-long finish with notes of fruit stripe gum finish. A fun, tropical fruit bomb for sipping, desserts, or beertails. Bottom Line: A fun, tropical fruit bomb for sipping, desserts, or beertails. 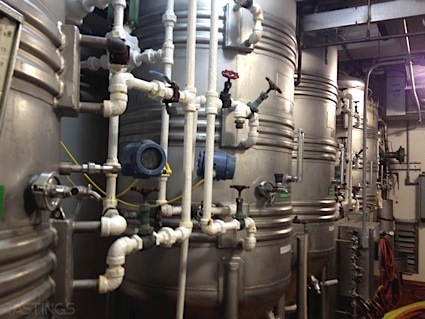 Flavored IPAs are a relatively new beer style developed and popularized in the mid-2010's. They are characterized by the addition of other flavor ingredients, most notably citrus fruit juices used to complement and augment the citrus-forward nature of newer hop varieties used in American IPAs. 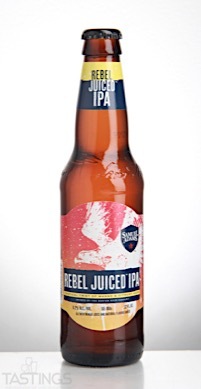 Samuel Adams Rebel Juiced IPA rating was calculated by tastings.com to be 94 points out of 100 on 4/12/2017. Please note that MSRP may have changed since the date of our review.